Have you been considering making the move to a child care management software program? Technology truly is your friend when it comes to overseeing all of the complicated tasks involved in running a child care business. But does going digital seems daunting? Concerned it’ll be too hard to learn or to roll out with your staff? Change can be tough, but this decision will be applauded by both staff and your families alike, once they (and you) see the benefits. In case you’re still on the fence, here are the top 5 benefits of implementing a child care management software program. On a daily basis, you and your staff are gathering check-in signatures for licensing, recording infant feedings and diaper checks, filling out daily report forms, logging incident reports, printing tuition bills and receipts, and the list goes on and on. Suffice to say you go through a lot of paper. And have a lot of paper to store. One of the most obvious benefits of using child care management software programs is cutting down on all of these time-consuming tasks. Not to mention the paper and ink costs! Consolidating all of the various clipboards, 3-ring binders, whiteboards, cubbies, and other systems can be a bit of a shift. But automating and centralizing your center’s day-to-day will be the first benefit you’ll reap from using a software platform to manage your child care or preschool program. But once you experience a streamlined workflow across your program, you’ll start to notice other benefits that perhaps you hadn’t considered when deciding to implement new technology. Your hardworking staff members have a lot going on each day, to say the least. Their day to day is a juggling act, keeping up with their required administrative duties while simultaneously providing child care. A software platform like brightwheel takes minutes to set up and is intuitive to use, offering almost instant time savings in your staff’s day. Improving their workflow will also have a secondary (but just as important) benefit of happier staff members. After all, your staff members did not become early childhood education professionals because they enjoyed paperwork. Giving your team more time to focus on the children in your care, instead of filling out forms and making photocopies, will make them more productive, and no doubt happier. This can go a long way in retaining staff and reducing employee turnover. A good child care management software program should have a parent engagement component. Using an app to communicate with your families and to keep them informed (instead of a cubby full of papers) will definitely be a hit with your parents. These days there’s an app for everything, and child care should be no different. Staff members are able to use brightwheel to message families and to keep them up to speed during the day, making them feel closer to what is happening in your program. 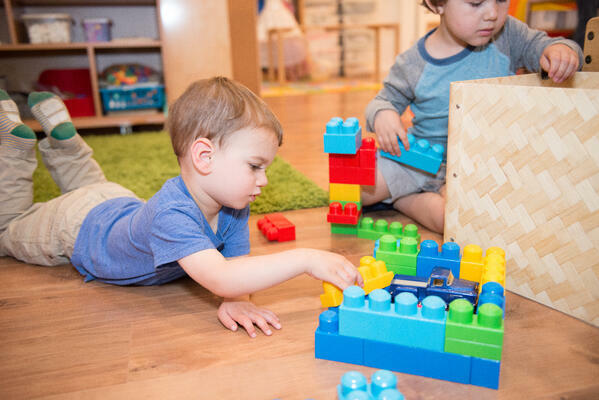 When parents are able to peek in on their little one’s day and get photos and updates in real-time, the end of the day pick-up routine is easier for everyone involved. Gone will be the days of parents clamoring all at once to get a download of the day from your staff. Instead, parents will have a detailed daily report delivered each day to their mobile device or email. 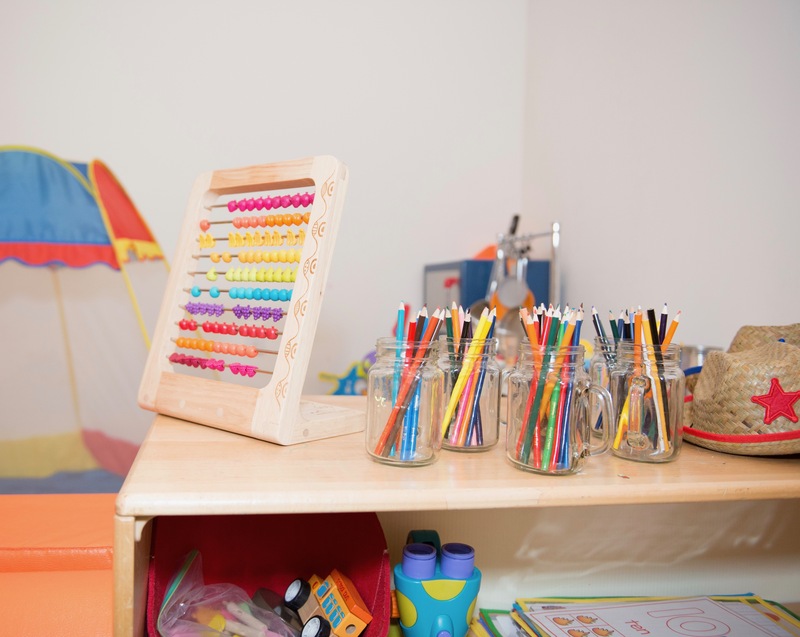 Using a child care management software program means that you will be 1) recording more information than with pen and paper due to ease of use, and 2) cultivating a rich profile of each child and their progress and growth while in your care. When staff is able to record observations and milestones in real-time, and they are tracked holistically on a child’s profile, you’ll be able to step back and look at patterns in behavior and progress in a way that isn’t possible when simply filling out a daily sheet at pick up. And on the parent side, they too will have a detailed record of their child’s history, which can be helpful and useful in many ways. Families love having a digital record of feedings and naps to look back on to chart progress. This record can even assist medical providers in identifying issues, as parents are able to pull up food logs at the doctor’s office to review what may be causing a child’s illness. Can software do that? Absolutely. Better business practices and administrative management will elevate the general quality of the services you provide. Much like providing PD opportunities for your staff members in order to help them hone their craft, giving your internal systems an overhaul will improve the quality of your program along with it. Employing the right technology signals that you are a modern program, which is something that current and prospective customers definitely care about. Embracing a top-rated, high-quality software solution like brightwheel signals that your own program will settle for nothing but the best. A child care management software program is a modern day must-have for any early childhood education program. Whether you run a daycare after-school program, a preschool, or a child care center, you should be looking to a software solution for help. To get started, you’ll need to look at your own needs and choose the right software for your program. To that end, we’ve got a detailed guide to help you make the right decision.